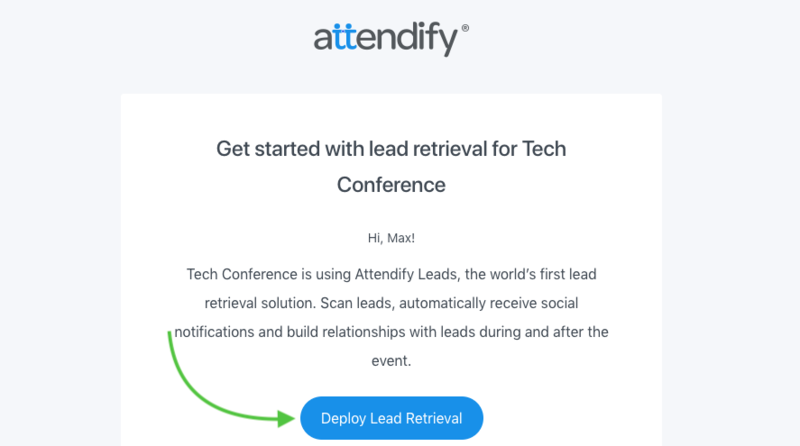 Get Lead Retrieval by Attendify for the event you are exhibiting at to capture leads and build relationships with your prospects. 1. To accept the invitation click the "Deploy Lead Retrieval" button inside the email you have received. 2. On the next page, you can familiarize yourself with the product's main advantages and create an account. For that, just click the button "Get Lead Retrieval". 3. Now come up with a password and create an account. Please note that the email the invite was sent to is being used automatically and cannot be changed. If you'd like to change the email, please contact the event organizer and ask them to resend the invite to the correct person. 4. On the next step, you'll be asked to pay for Leads app. Just fill out your Credit Card info and hit "Pay". If the organizer of the event gives out licenses for free, or you have already paid, you will not see this popup. 4. 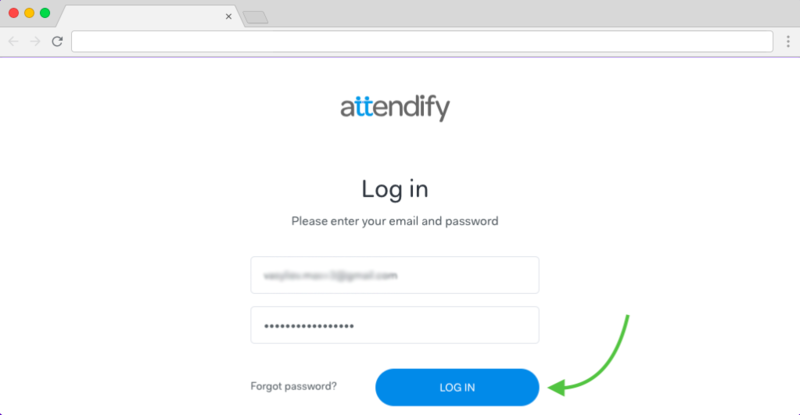 As soon as the account is created, you'll be sent another email with download links for Leads App. Here are the direct links to the app on App Store and Google Play. 5. Download the app on your mobile device and log in using the same credentials you entered on the sign-up step. You are all set! 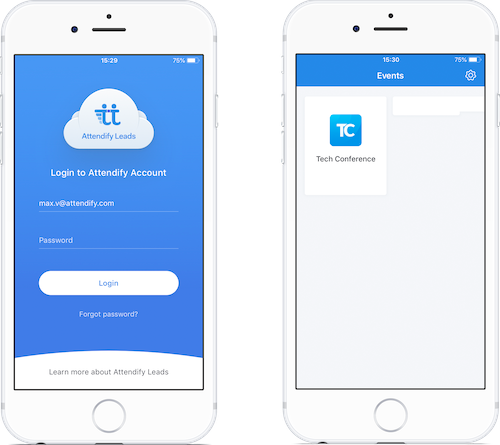 For further instructions on how to manage your exhibitor account and use the retrieval app, please visit our dedicated page here.